Good things come in PAIRS~! Firstly, we’re more or less settled at our new home – 149 Silat Ave #01-52 S160149 – so we’re proud to announce that we are starting retail sales again! Freshly baked treats will be available from 1 April 2014, no kidding! Next up! We have garnered 4000 likes and to thank our fans for their support, we are offering a 10% off promo! 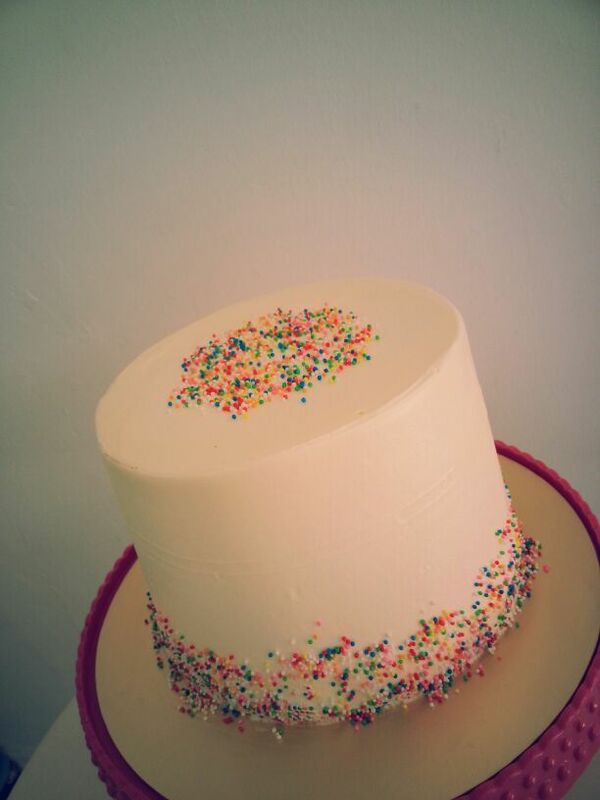 Promotion extends to all Standard Cakes ordered for weekday (Mon – Fri) collections in April 2014. What is a Standard Cake and how does it look like? Basically, our standard cakes refer to your typical round/square soft icing (buttercream) based cake with basic cream decorations. You can choose a base color (white, yellow, orange, pink, red, blue, green or purple) for the cake and another color for the wordings.The wordings will be piped on the cake surface. Just email us the following info (myfatladycakes@gmail.com), it’s that easy!